So the three printers, well, the three machines I have here today are the CR-10, a fairly common and actually surprisingly okay 3D printer, my converted MendelMax 3, which used to be an oversized 3D printer and is now a super-light-duty engraver, mill, whatever you want to call it, you can watch the conversion process here, and yes, it’s not perfect by any means, and lastly, the Sienci CNC, which from now on I’m just going to call Bob because I’m sick of every time having to clarify whether I’m talking about the CNC category or the Sienci product (hrmpf, “Slic3r”), ‘scuse me, and this is a light-duty mill. I know, I’m using the terms “milling machine”, “router” and “engraver” somewhat interchangeably here, at least for these machines, because they are neither, actually. They’re not built like a router, which typically has a moving portal, which is this part right here, and that’s great for cutting sheet goods; they’re also not built like a milling machine, which has a smaller work surface, but much sturdier construction with a rear column and often a moving work surface, which is heavy and slow, but great for machining metals. Neither Bob nor the MendelMax is either of those, but both of them are built like your typical Mendel-style 3D printer with a fixed portal and a moving bed, the MendelMax has the X-axis mounted on top of the Z-axis, and Bob has the Z-axis on top of the X-axis, but otherwise, their basic kinematics are the same. And while we’re at it, let’s actually take a look at how these two are built differently. First difference: The frame. Both 3D printers here use machine profiles and both are actually using the openbuilds-style V-slot, which already is a good bit sturdier than your regular 8mm smooth, unsupported round bars, and Bob has these massive aluminum angle profiles with the wheels running on the edges of that. Proper milling machines would either have linear carriages like these or sliding dovetails, which look like this. And why? Because rigidity. On a 3D printer, there are no forces between the toolhead, that is your hotend, and your workpiece, so the printbed and your print because the hotend is basically just skimming over the part and lays down molten plastic as it goes. 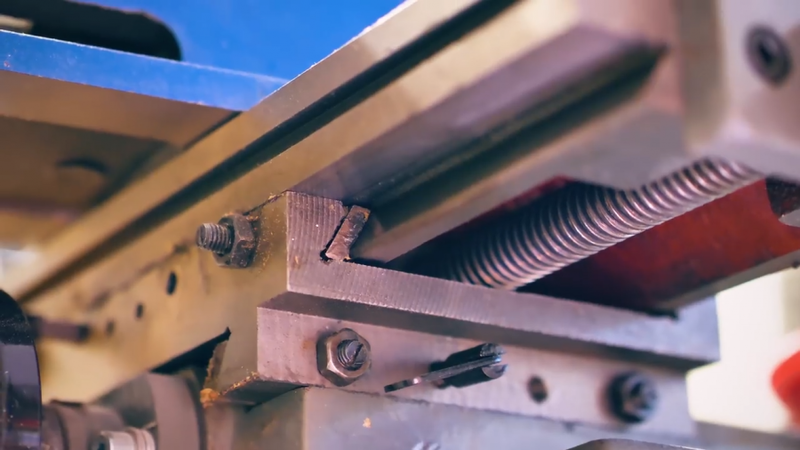 On a milling machine, you have the cutting edges of your tool actually digging into the material you’re cutting and that does, in fact, generate quite a significant amount of force. Let’s see what that force does with these machines: For reference, here’s a Prusa MK2… The CR-10… Mendel Max 3… Bob… and my glorified drill press “milling machine”. That’s quite a difference. The floppier a machine is, the more it is going to deflect when cutting and that means the more likely it is going to start ringing or doing some other weird stuff that is completely inappropriate for milling. 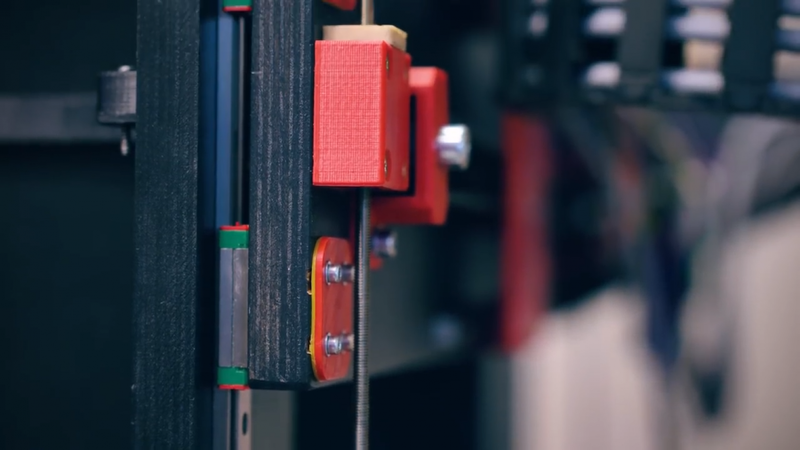 What also plays into this is that 3D printers typically use belts, and especially the cheaper belts are often incredibly elastic – which is the same as having a non-rigid frame. 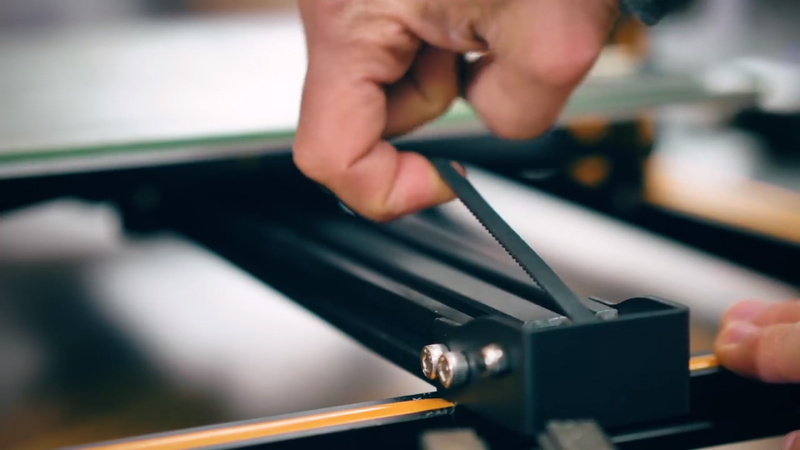 Some CNC routers use steel-reinforced belts, but typically you see trapezoid leadscrews or even ballscrews. Simply speaking, these don’t flex at all. And you always have to keep the key difference in mind when looking at 3D printers vs. CNC machines: 3D printing is, by definition, an additive process, meaning you’re adding material to your workpiece as it gets processed; milling, turning, etc, on the other hand removes material as the part gets processed. So with 3D printing, you only put in as much material as the finished piece is going to use, plus supports, brim, priming, whatever, that’s a tiny amount of waste, but with any subtractive process, you actually need a larger blank of solid material that then gets gradually shaved away. 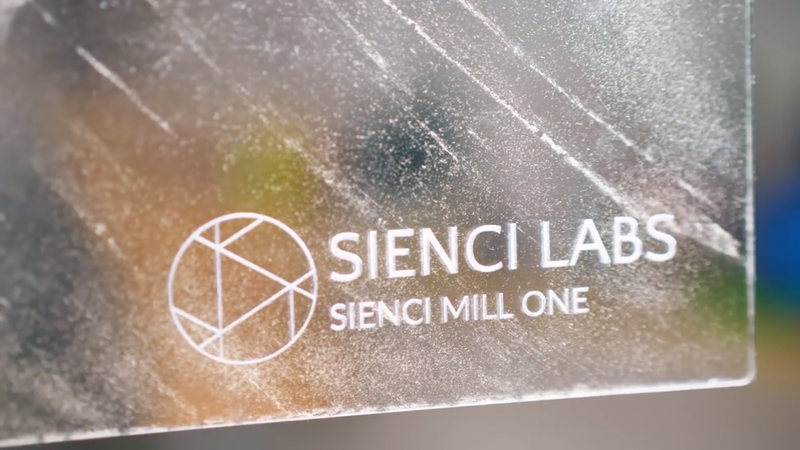 So basically, with a milling process, any part is already in here in the blank, it just needs to be freed from all the waste material around it, which, is actually a pretty cute way to think about it. Where does that extra material go? Well, shavings. 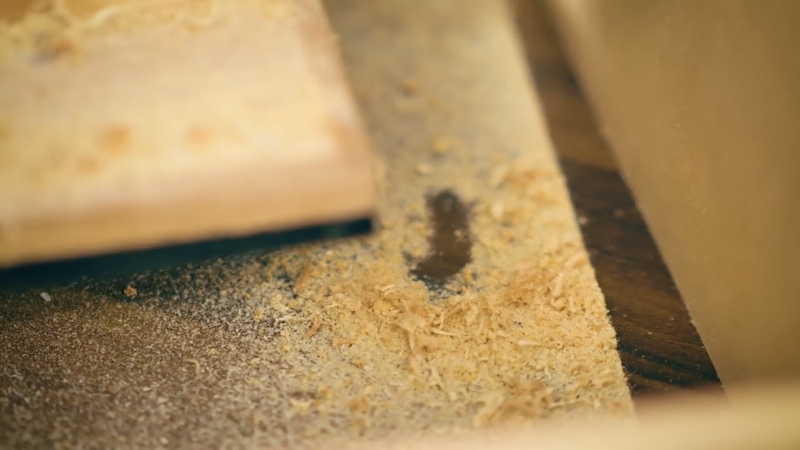 If you’re machining wood, you’re often also getting a ton of dust, but aluminum shavings aren’t much nicer to deal with, either, because they are sharp, pointy, small, and large in numbers. It’s one of the things you’re very likely to underestimate if you’ve never used a CNC and are thinking about converting a 3D printer, for example. There’s going to be a lot more of these than you expect and they will get everywhere. Oh, and the noise. It’s pretty intense. So, let’s actually make something with these machines, shall we? 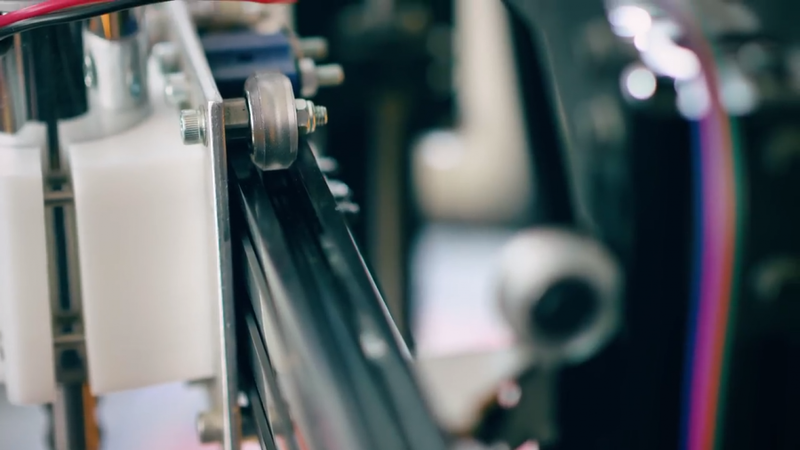 And while that’s printing and milling, let’s talk about today’s sponsor, Skillshare! Skillshare is an online learning community and right now, they’re offering over 19.000 classes for you to learn more about the things you enjoy. Daniel has been using Skillshare to get up to speed with videography and editing and I’ve been taking classes on how to be a better boss for him. One of the classes we’ve both taken is “DIY cinematography” by Ryan Booth, and it’s a great, compact course on the basics of lighting, camera angles and motion in any video or film,and that will help us out make better YouTube videos, but if you’re not into videography, Skillshare also has courses on 3D modelling, for example with Fusion 360, or basically any other topic you want to learn about just for yourself or even for turning your hobby into a full-time job! 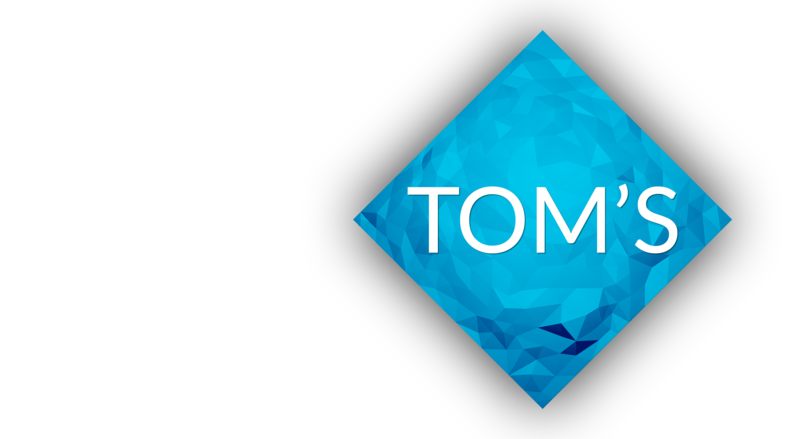 Once signed up, you can watch as many courses as you want, and while premium memberships are usually around $10 per month, the first 150 people that sign up with this link will get 2 months for just 99$ct. These spots do go quickly, so make sure you don’t miss out. Thanks Skillshare! So in this case, the milling job was already a bit faster than the 3D print, and this just gets amplified the larger a job is. If it’s really intricate parts, a 3D printer does have the upper hand as complexity doesn’t nearly “cost” as much as with a subtractive process, but because a 3D printer will need to lay down every bit of material instead of just not shaving it away, it’s not quite as scalable as a milling process. Now, a 3D printer, at this point in time, is pretty much always built in the same, very simple sequence: The machine starts at the bottom, works its way up vertically and once it reaches the tallest spot of the part you want to make, it’s done! 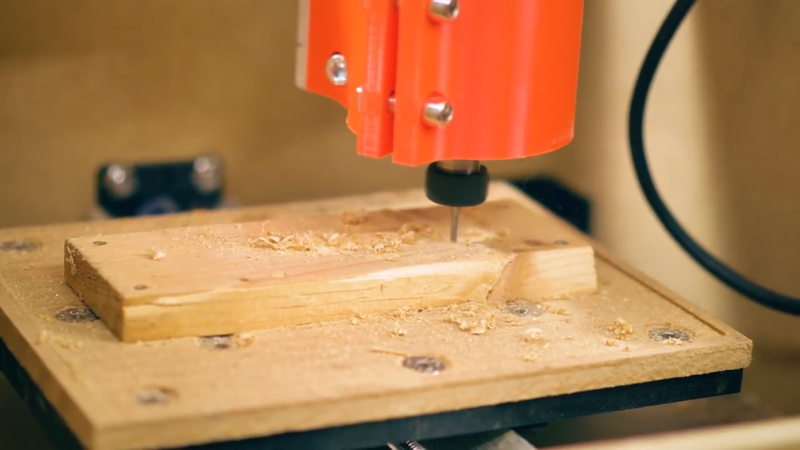 With a CNC, it’s not always that simple. What you often see with these smaller machines is just a single tool being used for the entire job – often that’s an ⅛” square endmill – but on nicer machines, you have all sorts of tools from a cutter head over roughing endmills to finishing endmills, chamfering tools, taps, drills, reamers etc. 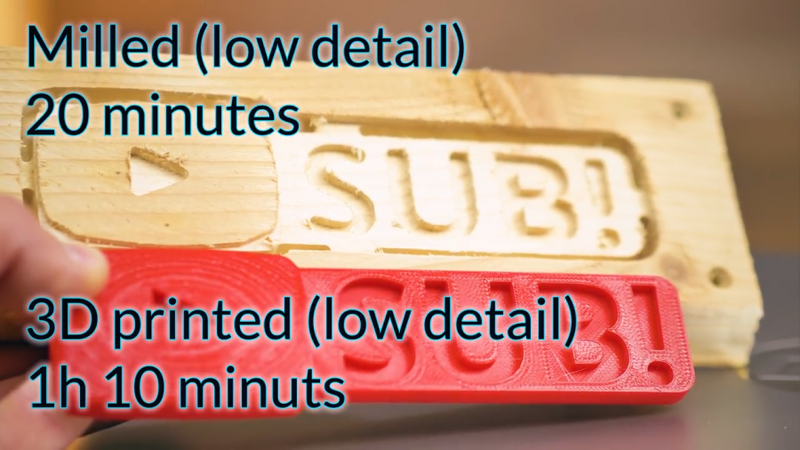 In which order those tools are used and for what areas is really up to the user, so the process of preparing a file for machining is typically much less automated than the process of preparing a 3D model for 3D printing – which just uses a single nozzle size for the entire print, typically. 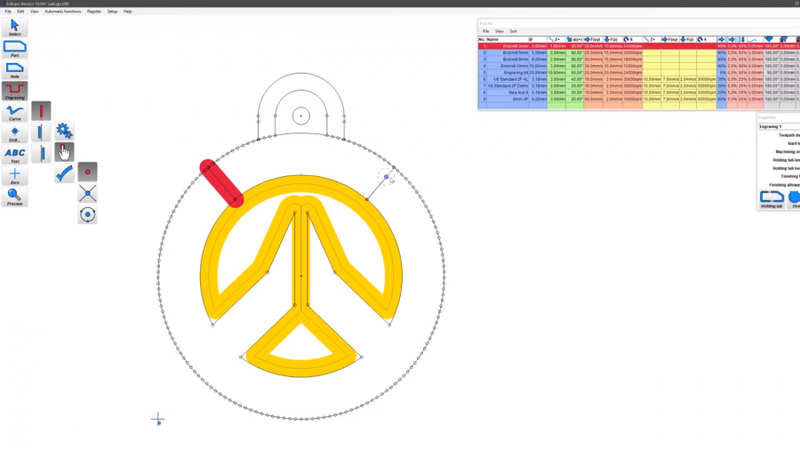 In both cases, how the input file is processed has a huge impact over how the finished part is going to turn out, but with CNC’ing, there’s no simple one-size-fits-all-solution. 3D printers in general are quite the rigid concept – it’s three movement axes, X, Y, Z, plus an arbitrary amount of extruders that basically work as extra linear axes along the length of the filament. On a CNC machine, you usually also have X, Y and Z that position the tool relative to the workpiece, but you might also have, for example, a B and C rotational axis that rotates the tool or workpiece about the Y or Z axis in a four- or five-axis machine. But let’s not forget there’s not just mills, there’s a CNC lathes, combination machines and completely different types as well. Other “details” are actually surprisingly similar between 3D printers and other CNC machines, like the part cooling fan control on a 3D printer and a coolant pump on a CNC, temperature control of a hotend and RPM control on a spindle, etc, etc, so it’s no surprise that DIY CNC routers are increasingly using electronics, firmware and just general components that might not be directly 3D-printer specific, but at least based on the developments from 3D printing. 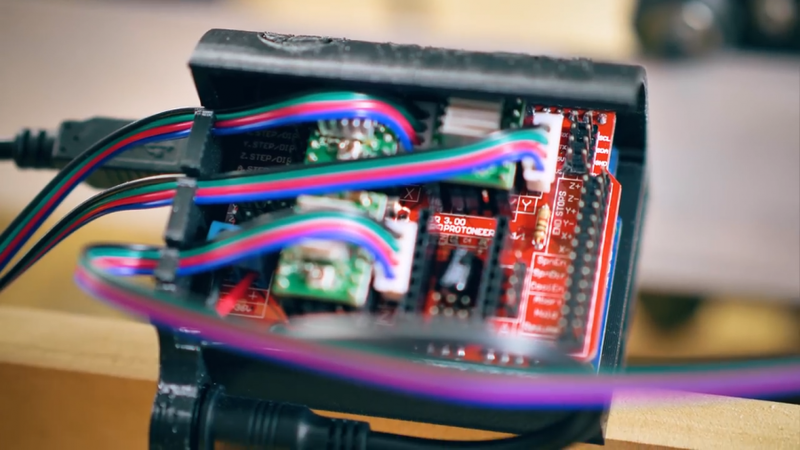 Like with Bob, all the electronics are based on 3D printing boards, the motors are standard NEMA17, the computer interface is the same software serial port – it’s basically a beefed-up 3D printer. But let’s not forget that 3D printers originally did originate from the larger CNC machines. Things like G-code are directly carried over that, and many of the early 3D printing developments were built to suit both CNC applications and 3D printing – think firmware and even the back-then slicer, Skeinforge. What also carried over is that these machines are maybe not dumb, but at least blind. 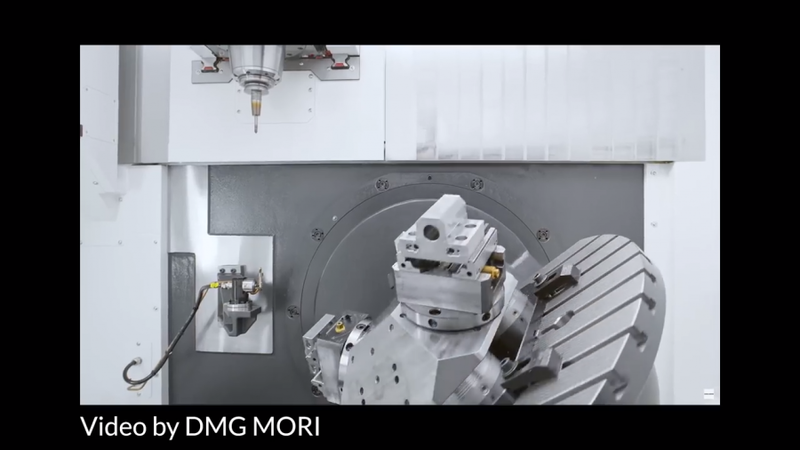 If a cutting tool breaks, the workpiece dislodges or anything else happens, the machines are often not going to notice it and will just keep going. 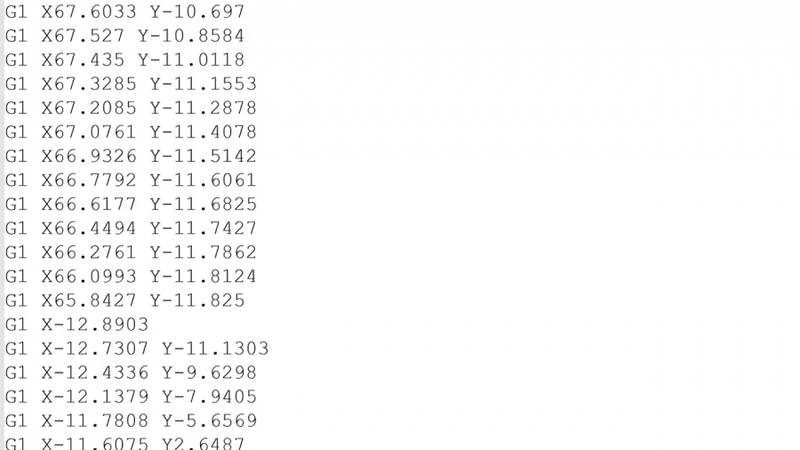 That is just now getting better for both 3D printers and mills, and bigger CNC machines are using things like load monitoring, the same thing the Trinamic drivers are doing on 3D printers, as well as Servo motors that have a feedback loop etc. 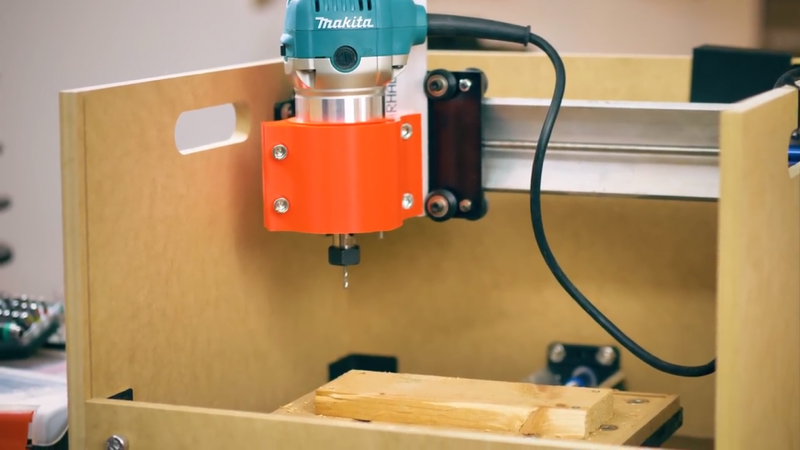 So yes, 3D printers and CNC milling machines are actually quite similar and knowing one of them well will help you get a head start with the other. But the differences in machine construction, especially when it comes to rigidity and top speed, don’t really make combination machines all too viable, at least for “real” applications. 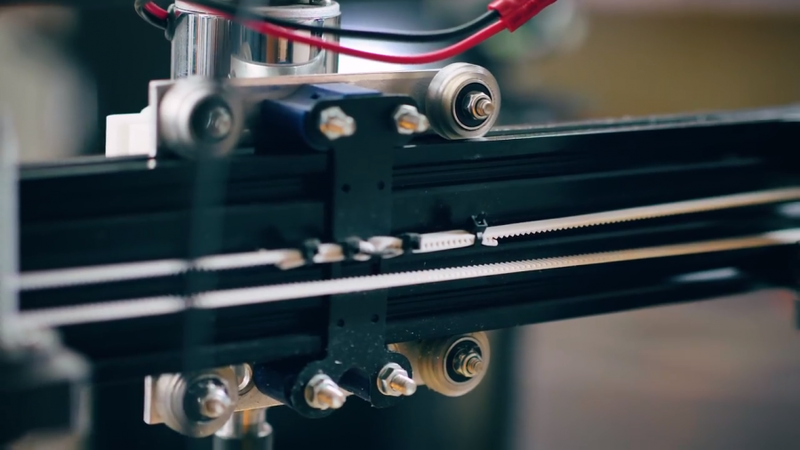 Maybe with a somewhat rigid frame and high-pitch leadscrews, you could build something that does both, but it would neither be a great 3D printer nor a great CNC mill. Ok, so with that, I think we’re set for trying some more CNC machines! I hope this video clarified some of the differences for you, if it did, give it a thumbs up, get subscribed if you want to see more like it and… and do hit that bell to get notifications when new content goes live. 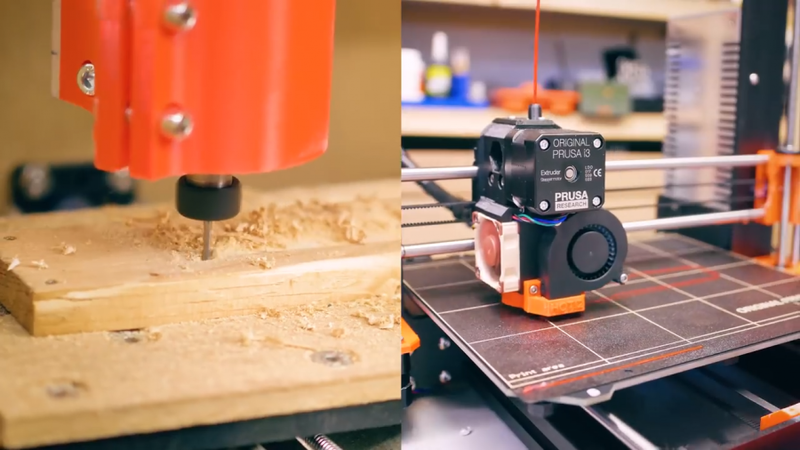 Also check out the affiliate links below where you can get the products we used in this video – like the CR-10! And that’s it for today, thanks for watching and I’ll see you in the next one!